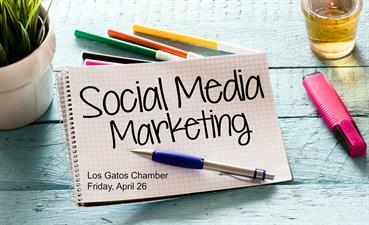 The creator of Los Gatos Town social media project is facilitating a monthly social media marketing workshop at the Los Gatos Chamber of Commerce. On April 26th at 9am, join us for an overview on how Los Gatos Town has generated 11,000+ local followers. This is a ticketed event and seating will be limited. Led by Clifford "CJ" White, of Campbell Marketing, who is also the creator of the Campbell Water Tower social media project. The CWT Facebook page exceeded 1,000,000 in organic reach last year. How would 1M impressions help your brand? Campbell Marketing is a business development company that provides social media strategy consulting, management, training and "lead generation" marketing campaigns. We own a successful record of lead generation and event promotion using custom marketing campaigns and audiences. May 24th, the topic will be Facebook Business Page Basics and June 28th, will be Facebook Business Pages for Business Development.